Other than the utilities of water, electricity and gas, compressed air is one of the most commonly used energy sources. For this reason, technology has been forced to adapt an efficient and inexpensive method of achieving the highest quality of compressed air. 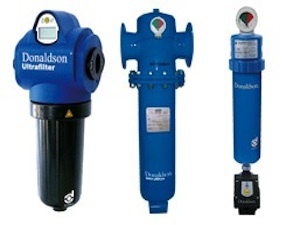 Petrotek is one of the preferred Donaldson filters distributors in Dubai and across UAE, stocking a broad range of products to suit a variety of applications. The innovative three-stage product DF-T(hree) is used for the purification of compressed air and gases in smallest places. 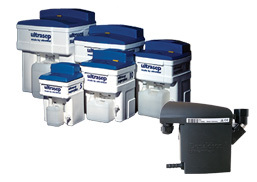 The unique element combines 3 purification stages in one housing– a coalescence filter, an activated carbon adsorber and a high performance particle filter. It achieves quality class 1 acc. to ISO 8573-1:2010. The DF-T is ideally suitable as terminal filter, where the highest quality of compressed air is necessary and only small place for installation is available. 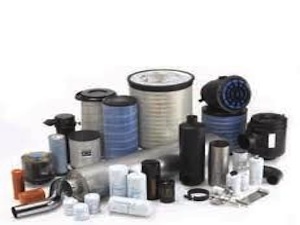 The coalescence/particle filters for the removal of water and oil aerosols and solid particles from compressed air and gases in industrial applications. The elements are equipped with the innovative filtration technology UltraPleat® - a pleated high performance media to achieve high retention rates at lowest differential pressure, validated according to ISO12500 and for the reliable achievement of the compressed air quality according to ISO8573-1. Coalescence Filter UltraPleat S: S0035, S0070, S0120, S0210, S0320, S0450, S0600, S0750, S1100. Coalescence Filter UltraPleat M : M0035, M0070, M0120, M0210, M0320, M0450, M0600, M0750, M1100. This product is designed for the removal of water, oil aerosols and solid particles from compressed air and gases in industrial applications. The elements type V possess the three-dimensional micro fibre fleece made of polyester, which works oil and water rejecting. The prefilter for the removal of oil, water and dust particles with absolute retention efficiency. The Ultraporex prefilter contains the highly porous sinter bronze medium. It ensures the retention of coarse solid and liquid particles. Retention rate, 100 % in gases; defined retention rate of particles larger than the pore size (25 μm). The prefilter for the removal of solid contaminants in gases. The Ultrapoly prefilter contains the high porous, sintered polyethylene medium. Even finest dust particles and other contaminants in compressed air and gases are being removed effectively on the surface and in the depth of the medium. Contaminants down to the size of 25 μm particles are being retained. 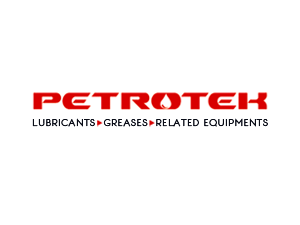 High absorption for the removal of oil vapour, hydrocarbons and odours. The Ultrac A consists of 2 stages. At the adsorption stage oil vapour, hydrocarbons and odours are removed by activated carbon adsorption. Particles are removed at the depth stage, consisting of microfibre fleece. In addition, support fleece and an outer stainless steel support sleeve ensure proper fixation of the adsorption and filter stage. The flow direction through the device is from inside to outside. At appropriate pre purification a residual oil content of < 0,003 mg/m³ is achieved. A cyclone separator has to remove the abrasive contamination, like solid and liquid particles and aerosols from the flow of air pressure. The emphasis is set here on the removal of water, which due to a condensation in the aftercooler at this point increasingly show as droplets or splashing water. Because of its low differential pressure and simultaneously lowered requirement of energy the cyclone separator offers substantial cost savings. In addition the higher filtration efficiency takes a positive effect on the subsequent compressed air adsorption and refrigeration dryers as well as on the filters. 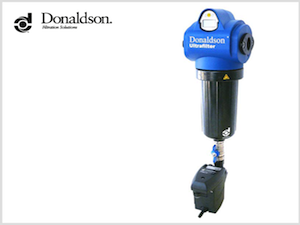 The DF-C cyclone separators are available in seven sizes, which match the current compressor capacities and the connection sizes of the Donaldson compressed air filters as well as the refrigeration and adsorption dryer product range. In addition, they are integrated in the current compressed air filter housing generation as the “Standard” (equipped with time-controlled condensate drains) or “Superplus”-Version (equipped with Ultramat UFM-D level-controlled condensate drain). SG Standard- und SG Superplus carbon steel housings are designed to DIN 2633 standards with flange connections. In the Standard configuration, these housings include our Econometer differential pressure gauge and external float drain valve for coalescing applications. Superplus versions include our programmable Economizer differential pressure gauge which notifies maintenance personnel of the optimal point at which to change the filter element(s). 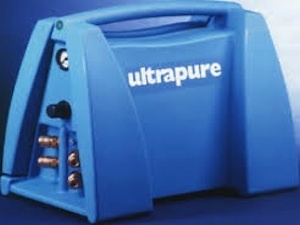 Superplus models also include our Ultramat zero-loss condensate drain which assures that no compressed air is lost when liquid condensate is drained. All SG housings and elements are available in silicon-free versions. These products are intended for the processing of compressed air and gases in different industrial applications. The special design of the housing and element as well as the materials used allow an operation under extreme conditions. Applications under high and low operating temperatures and conditions with mechanical stress such as vibrations or shocks can be covered by this series. The elements are available in 7 sizes that cover a performance range of a flow rate up to 600Nm3/h (for compressed air) at an operating pressure of 25 bar. The housing connections range from 3/8" to 2". Validated performance data acc. to ISO 12500-1 for reliable achievement of compressed air quality suitable due to the application acc. to ISO 8573-1. HD high pressure housings are designed for compressed air and gas applications up to 400 bar. Each housing can accommodate any of our standard range of elements for your specific need. Flow capacities from 30 to 720 m³/h nominal at 7 bar g are available. Modifications on request. HD 0003, HD 0006, HD 0012, HD 0018, HD 0027, HD 0036, HD 0048, HD 0072. 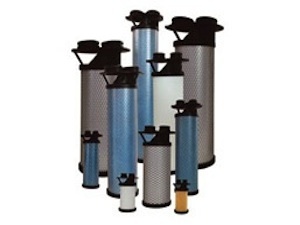 Ultradri SG-Z (carbon steel) separators are designed to remove liquid condensate from compressed air and gas. Integral swirl vanes allow for efficient liquid removal with low pressure drop. SG-Z housings incorporate an additional baffle plate to prevent carryover of condensate. Standard configurations are equipped with UFZ condensate drains while Superplus versions are equipped with Ultramat zero-loss drain valves. SG-Z 1650, SG-Z 2750, SG-Z 5000, SG-Z 7500, SG-Z 10500, SG-Z 15000.